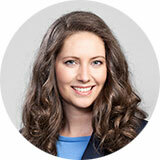 Susanna Mayerhofer started her career in HR in 2000 by selling online advertisements and personnel management software. Since 2005 she has been working in the field of personnel consulting at an international personnel service company and was lastly responsible for the sales department in Austria. The trained accountant completed in addition a business degree. Due to her wide range of experience, she has a good understanding of company structures. Finding the right people is both a professional but also personal matter. To get a feeling for customers and candidates is very important to her.